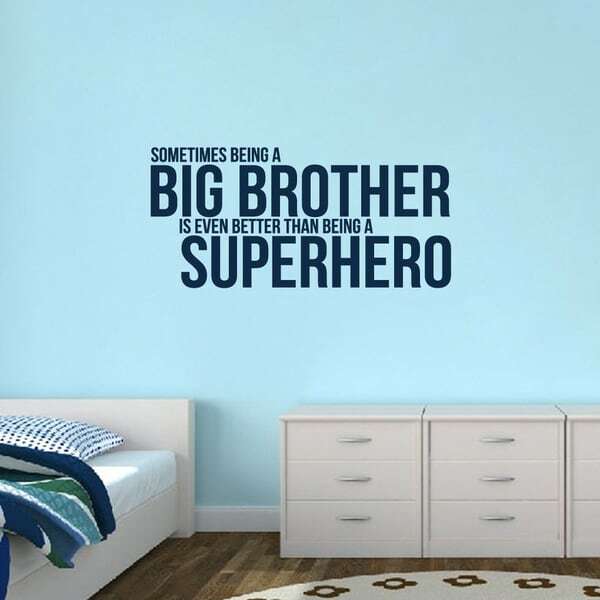 Personalize your space with this Big Brother 'Superhero' Large Wall Decal. Sometimes being a big brother is even better than being a superhero. Perfect for that apprehensive little boy as he prepares for a little sibling. Let him know just how important he is as a role model and someone to look up to. Great for his big boy room, this quote will make him feel as important as he is to you.